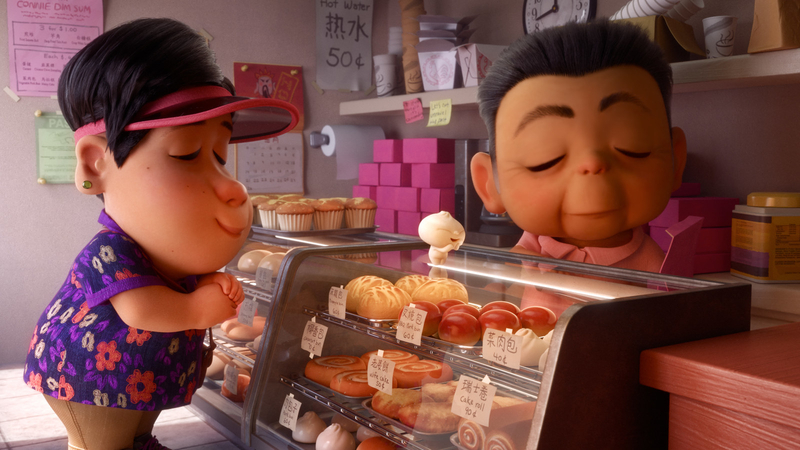 Warning: This story has SPOILERS for the Pixar short film Bao. It was only after Domee Shi had finished Bao — her first short film for Pixar, currently playing with the studio's new feature Incredibles 2 — that Shi allowed herself to recognize that she was making animation history. "I guess the paranoid part of myself prevented me from celebrating too soon," Shi said. "I was just focused on finishing the short and just making sure that the story made sense, that it was emotional and entertaining." Is it ever. Bao follows a Chinese Canadian woman who discovers that one of her pork dumplings has adorably sprung to life, and lovingly raises it as her son. The short already has audiences erupting with laughter, gasping in shock, and bursting into tears as this mother watches her dumpling son grow up and grow apart from her. Even in the studio's storied history of superlative short films, Bao stands apart, both in its emotional boldness and in the astute personal details Shi infuses throughout the film. When Shi first dreamed up the idea in 2014 while working as a story artist on Pixar's Inside Out, however, she wasn't even sure it would ever actually get made. "I was just wanting to make a short film possibly on the side," she said. "I had no plans of really pitching it to Pixar." But she was captivated by the image of a Chinese woman nuzzling her dumpling son, evoking her own experience as a Chinese immigrant who grew up in Toronto with a mother who would cook her pork dumplings from scratch. So she kept plugging away at it, every so often running her ideas by her Pixar coworkers — until one day, she found herself pitching it on a whim to Inside Out's director, Pete Docter. One of the first decisions Shi made was to bring on Chinese American artist Rona Liu as her production designer, which allowed both women to further embrace their shared heritage. "She's also an immigrant child," said Shi. "I think we have a lot of similarities in terms of our taste. … We both really love Chinese folk art, Japanese anime, Asian films. And we wanted to use all our favorite influences to create the look of this short." Bao and My Neighbors the Yamadas. For Bao's characters, Shi and Liu heavily referenced the doll-like Japanese chibi style, especially as it appears in the 1999 Japanese film My Neighbors the Yamadas from the late renowned animator Isao Takahata. "It's super stylized, like the characters have really big heads and cute little dot eyes," said Shi. "But the film is such an accurate representation of real life. 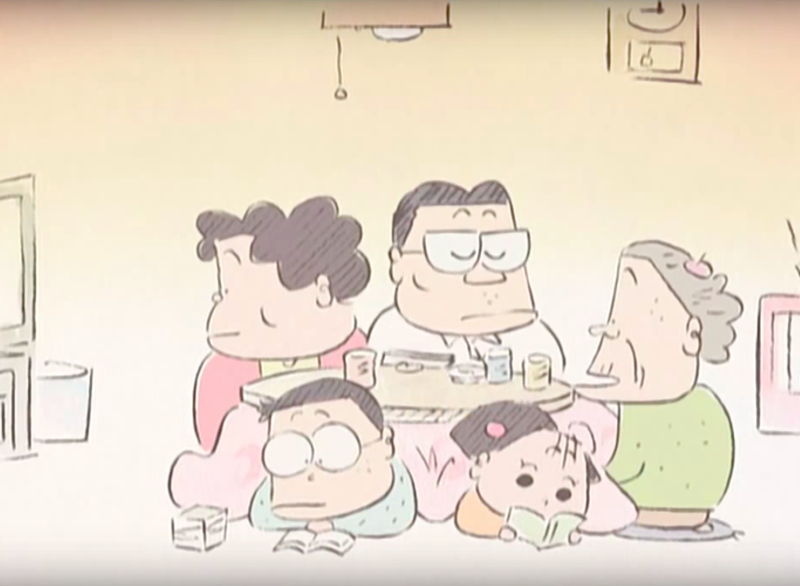 Takahata takes his time to really show these characters going through the mundaneness of life — going to work, cooking food at night time, watching TV. We really wanted to capture those slice-of-life moments in the same way." That aesthetic approach was especially true in how Shi designed the character of the mother, which she said was based less on her own mother than herself — or, at least, a version of herself. "I kind of have the tendency to caricature myself with this bean face, with little hippo nostrils and small eyes and a small mouth," she said with a laugh. "I always thought it was really charming in kind of ugly-cute way." Rather than her mother's face, Shi brought her mother's food into her film — quite literally: Shi's mother gave two separate sessions on her technique for making dumplings at Pixar's headquarters in Emeryville, California. "It was really important to get the animators and the effects artists studying my mom's technique up close," she said. "Poking the dough, smelling the raw pork filling, and studying every single detail so we could replicate it as accurately as possible." Every dish the mother makes in the film was based on cuisine from the Sichuan region in China where Shi was born, and Shi took her team on research trips to the Chinatown neighborhoods in San Francisco and Oakland to get them familiar with subtle visual nuances she wanted to imbue in her film. Needless to say, the effort left the team in a state of perpetual ravenousness. "You're just staring at tests of stir-fried pork belly over and over again, and you're like, How do I make this [look] more delicious, but also, Oh my god, I'm starving," said Shi. "A lot of dumplings were harmed in the making of this short." That deep emotional connection to food is also what led Shi to her film's genuinely shocking climax: Devastated at the prospect of her dumpling son moving out of her home, the mother makes the sudden, panicked decision to — gulp! — eat him. As the mother quietly cries in her bedroom — and the audience recovers from the shock of her gulping down her only son — Bao takes yet another emotional turn by revealing that the mother had really been processing her grief that her non-edible, quite human son is moving away from home. It's a deeply felt, tear-jerking conclusion that touches on the universal experience of leaving the nest, while also connecting to the specific cocktail of guilt and sorrow felt by many immigrant children as they move away from home — something Shi knows all too well, having moved from Toronto to California when she first started working for Pixar. Domee Shi (right) and her mother, Ningsha Zhong, at the premiere of Incredibles 2 on June 5, 2018. "It helps me personally process my own relationship with my mom, too," said Shi. "Because it gave me these puppets to just act out this relationship and this drama that happened in my real life." She paused, and then added: "I definitely exaggerated a lot of the feelings of the characters. Like, my mom wasn't so heartbroken or shocked, and she didn't do anything crazy like eat me."